Since I'm a little late to the party here, I thought I'd just go ahead and add my $0.02. 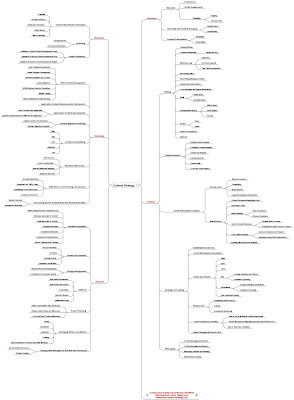 I've been doing a lot of work actually figuring out the voice and tone company's need to take on their sites as part of the overall editorial guidelines; I'm not sure it deserves a whole branch or just a twig on the mind map, but it's been taking up a lot of my time lately (and it's fun coming up with bubble maps and voicescales to represent how the brand personality sounds). And I now have scrubbed examples :).